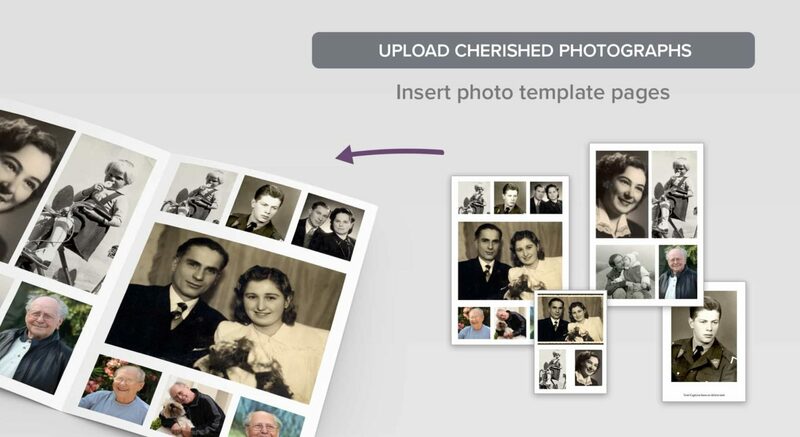 You have an option to instantly download your PDF design and print at a local printer for only £29.99. 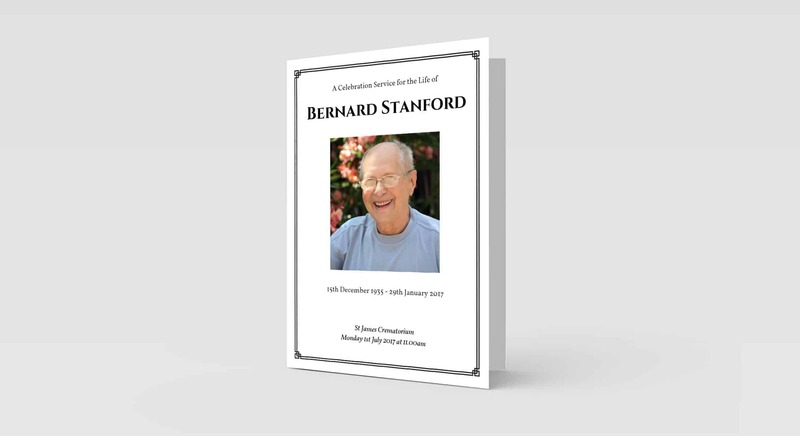 A5 Funeral Order of Service printed in full colour on heavyweight 300gsm card. Select your preferred option to print with us or download your design as a print-ready PDF. It appears you are browsing from a mobile or tablet, for best results personalising online we advise you switch to a desktop or laptop. Honour the life of your loved one with a unique and uplifting personalised Funeral Order of Service. 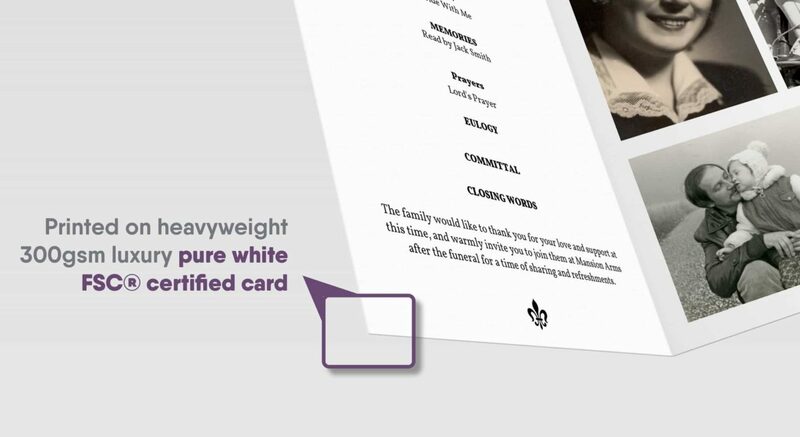 Printed full colour on luxury heavyweight pure white card and beautifully hand finished. 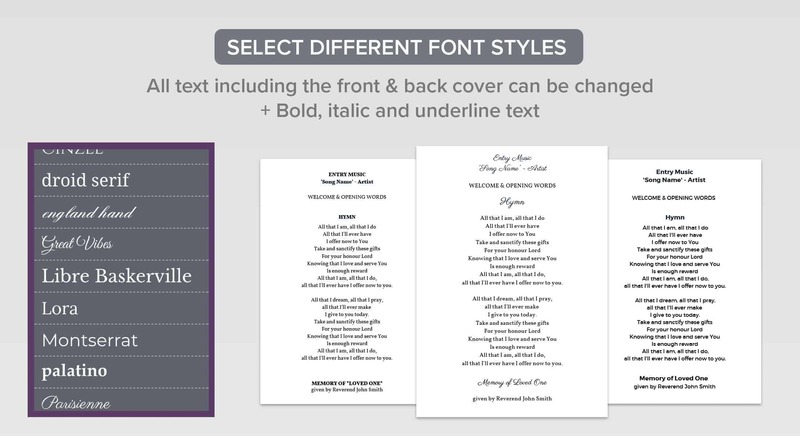 Use our easy to use online template editor to create 4, 8 or 12-page booklets. 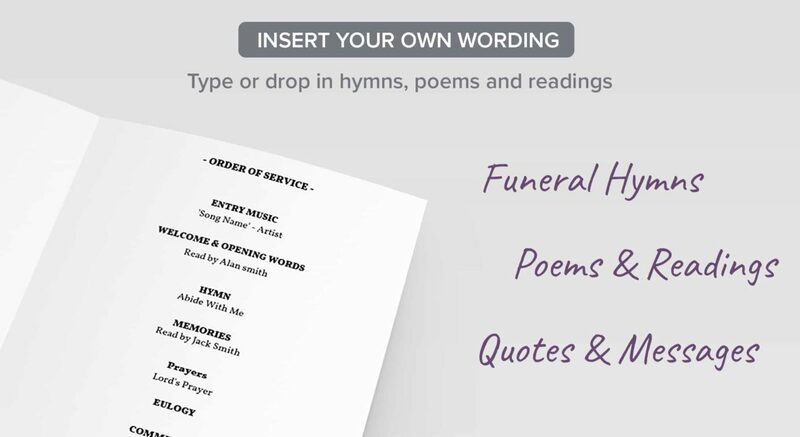 You can insert up to 12 pages and include cherished photographs and text page templates, simply type or paste hymns, poems and readings with ease. Inner pages printed full colour on 160gsm smooth paper. Finished size is A5 – 148 x 210 mm (A4 folded in half). 4 Page – We print in full colour on all four sides using 300gsm heavyweight card. 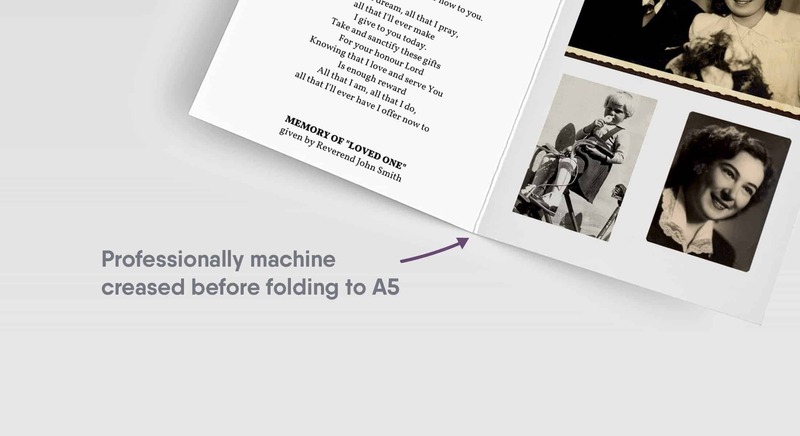 8 & 12+ pages – Covers are printed on 300gsm heavyweight card. 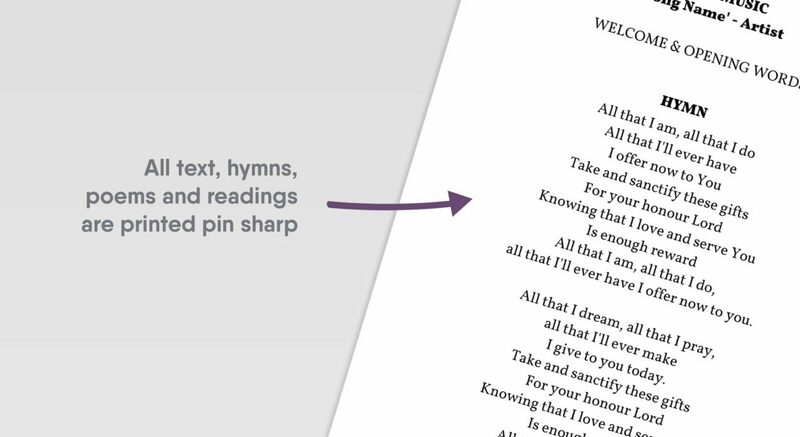 Inner pages are printed on 160gsm thick paper in full colour. All booklets are finished ready to hand out at the service.